Hi Tom, When I put the key in my caravan door lock the key will not turn either way. The lock is a Hartal right handed exterior door lock. I saw that you can just buy the barrel and keys on the net but when I took my lock apart and removed the barrel I noticed that the barrel is different from the ones pictured on the net. My barrel is grooved on either side so that it slides into the chamber on the body of the lock. At the bottom of the barrel where it is held in place with a circlip extending from the barrel is a 30 - 40mm piece of flat metal(tang) that extends into the body of the lock when assembled. I cannot see any of these types of hartal barrels to purchase. Do you know if these types of barrels can be bought or is the only answer to buy a complete unit. The problem with the Hartal locks is not normally associated with the barrel. The problem is with the inner grey part where the shaft through the centre attached to the handle becomes almost seized in the housing. We normally remove the circlip to release the handle and then run a slightly larger drill through the hole to give a little more clearance where the handle rotates. With regard to the barrel itself we have had little success in removing the barrel from the outer casing which contains the grooves. You will probably need to buy a complete lock assembly if you are having problems with the barrel. This lock was used to replace the lock on a 2002 Hobby caravan. Fits perfectly very good price. 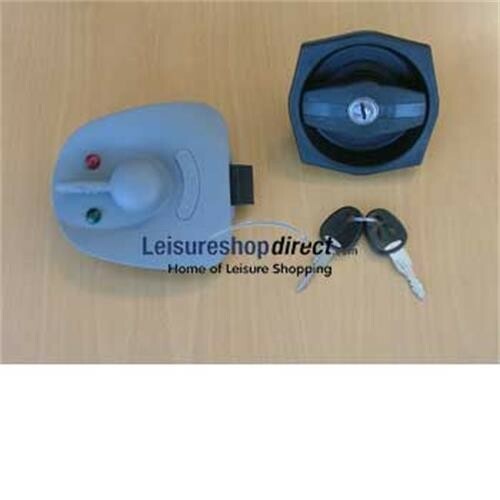 The staff at leisure direct are exceptionally helpful i would recommend to anyone, give them a try.